The Renaissance wall art has been highly valued by Christie's. 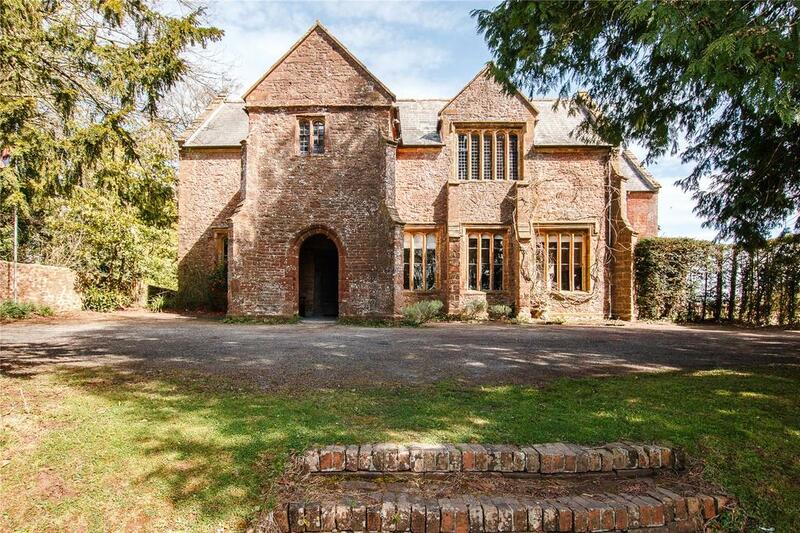 Built around the floor plan of a medieval hall house, The Old House in Milverton, Somerset is a former rectory built in the late 1300s and inhabited by various Archdeacons of Taunton, including Thomas Cranmer. Grade II*-listed, the property was substantially restored in 1880, and boasts a wealth of period features throughout including stone mullion windows, a flagstone floor, oak panelling, medieval ceilings, an original Tudor fireplace, and an ornate Perpendicular-style stone arch. 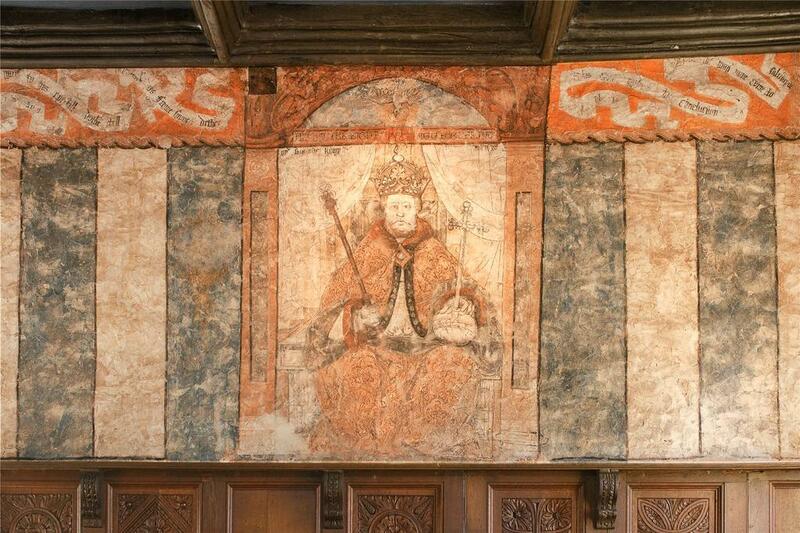 In 2011, a sixteenth century mural of Henry VII was discovered in the Great Hall by the then owners of the property during a renovation project. Believed to date from around 1536, it shows the king in his mid 40s and is the only surviving wall painting of Henry VIII. ArtBanc recently valued this incredible piece of historic artwork at £250,000. a large dual aspect room with wood panelling, a vaulted ceiling, Tudor fireplace with wood burning stove and views over the garden. The Old House is surrounded by its own gardens of approximately one acre. Mostly laid to lawn, they feature a number of established trees, including apple, yew and cedar. To the front of the house is a south facing lawn, which has been laid out as a tennis court and leads down to a patch of woodland with a firepit, perfect for summer parties. Located on the outskirts of the Exmoor National Park, The Old House is ideally located for those who enjoy outdoor pursuits. The Old House, Milverton is for sale through Strutt & Parker at a guide price of £1.2 million.